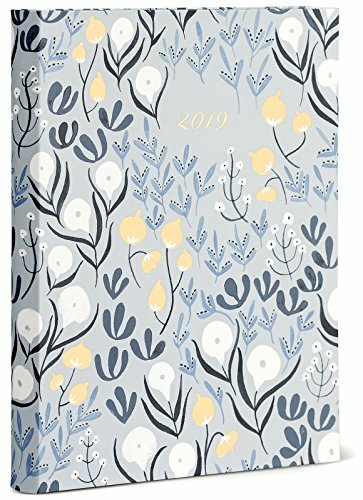 2019 Floral Weekly Planner 18-Month Calendar Academic Organizer is currently selling at $9.21, approximately $2.16 higher than average, giving a potential saving of $0.12 right now. With a lowest price of $6.35 and an average of $7.05 it is selling on the high end of its usual range. Price volatility is 3.57% (meaning it changes a few times a week), so you might have to wait a while for the price to drop. Right now this product is a recommended 'ok deal'. 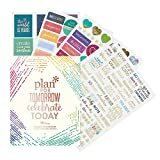 Compare the current price, savings (in dollars & percent) and Buy Ratings for the top Planners & Calendars that are closely related to 2019 Floral Weekly Planner 18-Month Calendar Academic Organizer. Here is how 2019 Floral Weekly Planner 18-Month Calendar Academic Organizer compares with other leading Planners & Calendars. High Note® Garden Bee Floral weekly planner is a durable softcover, 18-month organizer adorned with Rae Ritchie's whimsical stylized bee and botanical designs with foil embellishments. 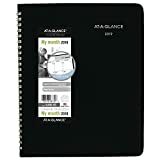 This planner takes you from July 2018 to December 2019, and features full-week and monthly calendar views, year-at-a-glance views of 2019-2020, additional note pages, a ribbon placeholder and accent art throughout.